ECOA Design Lab was established in spring 2011 with thanks to the generous help of the Embassy of Finland. This is where local artisan metal smiths and designers work on critical design challenges. The goal of the lab is to be a nexus for interdisciplinary activity to help solve in a locally appropriate and sustainable way, some of Afghanistans’ problems. The lab offers formal working space for teams to work, interact and design new green technology. This year a Testing Lab has been established to test prototypes manufactured in the Design Lab. This lab has been furnished with all the necessary equipment for testing different technology. 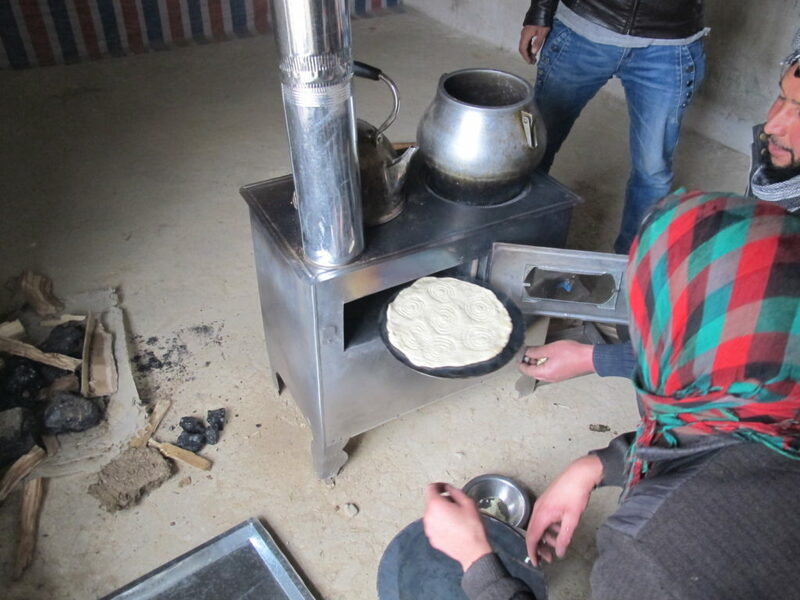 Most recently the testing lab has been used to the newest Bukhari stove designs, and is set up to mimic a real installation environment. Hi, I’m Amin. I am 25. I live in the Center of Bamyan. I am from Borghason village. I finished High school but could not continue my education as my father is disabled and I am now responsible for my family. My great hope is that all countries will cooperate amicably with each other and that they stop fighting. I think everybody should take responsibility for the environment and to have a good attitude, that is all. Hello, I am Noor Mohammad. My father’s name is Gulmohammad. I’m 28 and I live in the Center of Bamyan. If I find time I like to study English and read social books. My message to the people is that studying will give you knowledge, and this is particularly important for young people. I unfortunately couldn’t continue my education however I am enthusiastic to learn metal design work through the ECOA Design Lab. Salam I’m Mohammad Dawood. My father’s name is Gulmohammad. I’m 38 and live in Bamyan Center. I studied until Primary school. I spend my time creating design and thinking about how to improve my designs for environmentally sustainable and eco-friendly equipment (cookstove, Ram pump etc…). I also like sports, especially football. Before joining the ECOA Design School I was learning tiling and brick laying, but I prefer working in green technology. This will be good for my future and Afghanistan’s future also. My message to people is to save the environment, and protect our earth. My great ambition is peace in Afghanistan. Hello I am Mirza Jan Son of Dostmohammad. I graduated from Center of Bamyan high school in 2002. I could not study further because my father was old and I had to take care of my family. I am married and have 3 children, both of them boys. After ECOA Design School I want to make a workshop in the bazaar and teach the people of Bamyan design skills in green energy technologies. Hi my name is Amir jan. Before I joined ECOA Design School I was a farmer. I owned my own land and helped my father and brothers in their fields too. I have not been to school. I live in Bamyan Center. After I have graduated from ECOA Design School I will go back to my village. My village is very mountainous and cold so I want to open a shop and make good stoves for the people, and if the people want to learn skills I will teach them those too. Hello I am Muhammad Sakhi. Son of Mohammad Hassan. I am from Saidabad village, Center of Bamyan. I am the oldest in my family, and am married with 8 children, 3 boys and 5 girls. Before coming to ECOA I was a driver at UNHCR. Before that organization I was jobless and worked in the fields. I also design green schools and help with the horticulture programme. Salam, I am Habib, son of Nabi jan. I am 29 years old. I live in the Center of Bamyan, my village is Jukrahkil. Before I joined ECOA Design School I worked in the bazaar as a laborer. I have not been to school, but I want to learn metal work. After ECOA Design School I want to open a workshop in the bazaar and if I am good enough I want to be a welder. I am married and have 3 sons. I want to work with people who do not have job in Bamyan and if people want to learn I want to teach them the skills I have learned. I want them to have jobs. Hello I am Ainattullah son of Aminnullah. I am 18 years old. I live in Qulishaher Center of Bamyan. Before I join ECOA I was a laborer in the bazaar. I took two classes in highschool and had to leave because my family is poor and I had to help with work at home. 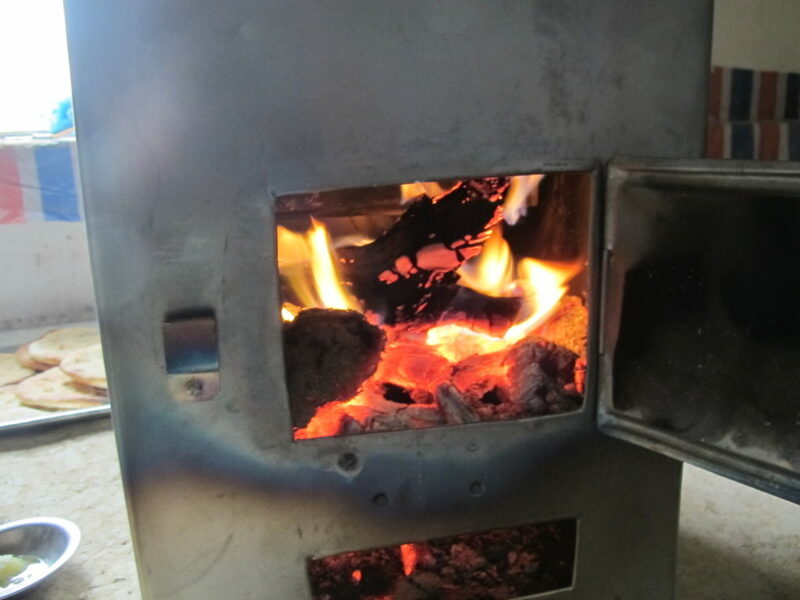 After ECOA Design School I want to open a shop in the bazaar and I want to make and sell stoves and other equipment. I also want to help the people and teach students the skills I have learned so they can have jobs and support their families. A testing room has been created to test products created in the Design Lab. This room has been most recently used to test the newest Bukhari stove designs, and is set up to mimic a real installation environment. Testing instruments includes air quality meters (CO and CO2 sensors), an Infrared Temperature Gun, Thermocouples, and a scale for measuring fuel. Tools not available in Afghanistan have been brought from the United States. Various measuring devices, quality drill bits, a corded drill and a small angle grinder are a few of these useful tools. Training and an introduction to these tools was given, and they were adopted very well into the existing tool collection. New Personal Protective Equipment (PPE) has been issued to the Design Lab technicians-in-training. These were very well received, and the habit of actually using these tools was quickly adopted. Ear protection is very useful in blocking out the pinging of hammers against metal, however the eye protection was the most popular among the students. Several asked if they could use them while riding their motorbikes home after hours. Light weight, scratch resistant, and “stylish” eye protection is very important, if they are a nuisance in any way they will not be used. The Design Lab as great potential and could easily become a state-of-the-art design and prototyping facility. While it is still in its beginning stages, great steps have been made in the right direction to attain this goal. Tools are being made to more efficiently and effectively create parts. This metal break (pictured left) has been made to bend sheet metal with consistent, quality results. Before the introduction to this tool sheets here bent with a hammer and the edge of a length of railroad rail. This is time consuming, and creates inconsistent bends. This tool whose inexpensive materials were sourced locally was quickly made and is turning out quality consistent parts. Basic tools are still needed, and sturdy work tables and a level concrete floor would be extremely valuable. Extra material for prototyping is always useful, and lends to more creative results without the student always worrying about wasting a bit of inexpensive material. With continuing improvements and support the ECOA Design Lab can easily become the premier workshop and design/build facility in Bamyan, Afghanistan. The primary goal of the Design School is to create leaders in the fields of innovation and green technology. Men from rural villages are chosen from a pool of applicants for their display of enthusiasm in green technology and their potential as community leaders. By the end of the 12 month internship students completed a project of their own and introduced it to market. They will possess creative problem solving skills as well as the expertise necessary to start a business of their own in their specific village.